Host your next professional meeting or event at our elegant meeting space in San Diego! 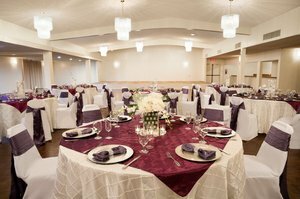 Our sprawling hotel and conference center features over 7,000 square feet of event space in a variety of different room set ups, making it the ideal spot for your next event. Our meeting spaces in San Diego feature bright windows that look out to our stunning property, while our catering menus are sure to delight each and every guest. 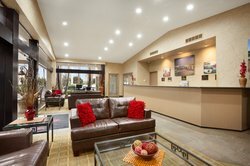 At our Ramada Hotel & Conference Centre, we offer 4 unique meeting venues in San Diego that can accommodate anywhere from 20 to 500 guests. Our large Madeira Room is most commonly used for large conferences and weddings, and can be set up in a range of styles to accommodate your next large event. Our Lisbon Room is slightly smaller and is ideal for a large group meeting. Next, we have the Captain Maury Room, which, at 900 square feet, is ideal for medium sized social and professional gatherings. 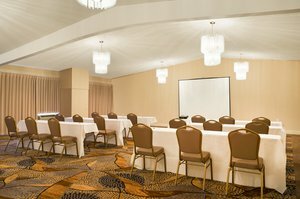 For an intimate meeting or conference, enjoy our Balboa Room! Learn more about our meeting room sizes here. 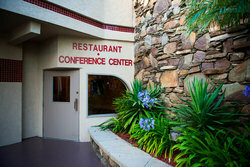 Book your next event at our meeting space in San Diego today! 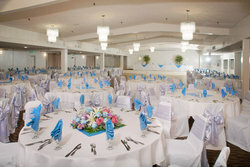 Fill in our event inquiry form to learn more about booking our event spaces today.